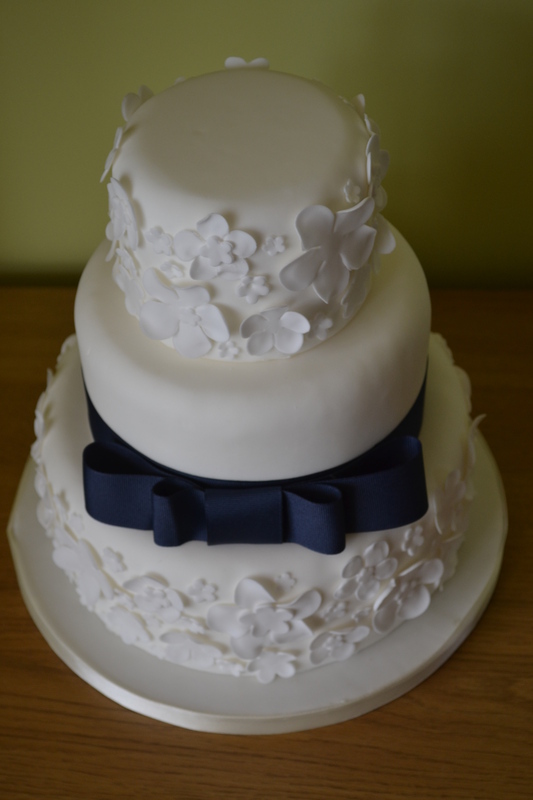 Wedding cakes can often provide a focal point for your wedding day, and will appear on your Wedding photos, so at Say it with cake, I believe in making your Wedding cake something really special. 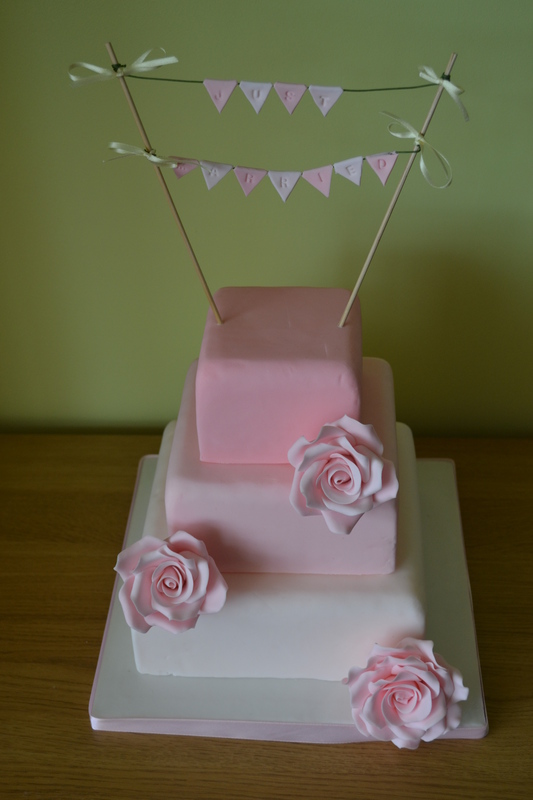 If you want something traditional or something different, I love a challenge. 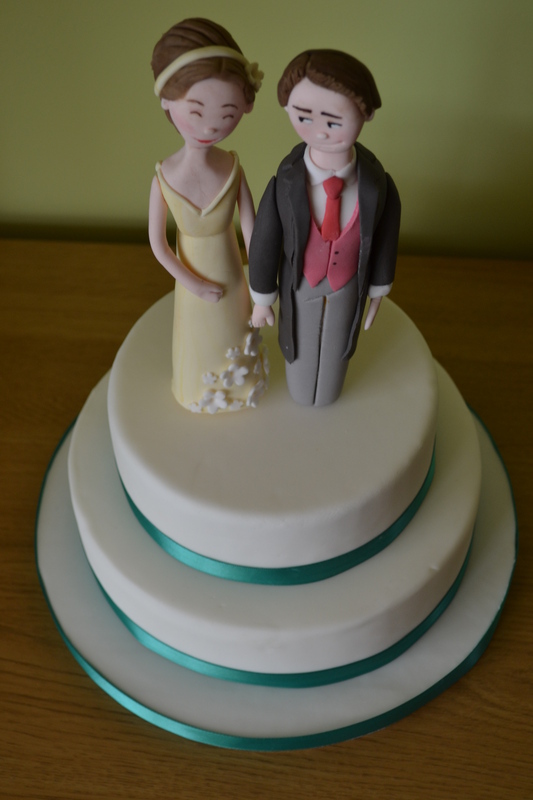 If you want figures that look like the happy couple, flowers to match the bouquet or something really unusual and different, I will try my best to come up with a unique, exciting, and very tasty Wedding cake for you! 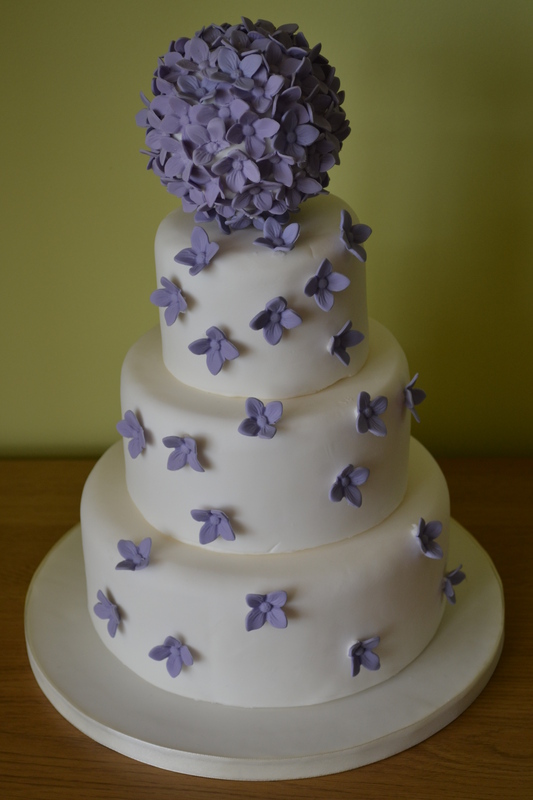 If you’d like to see more of my Wedding Cake images, please see the gallery on my Facebook page. 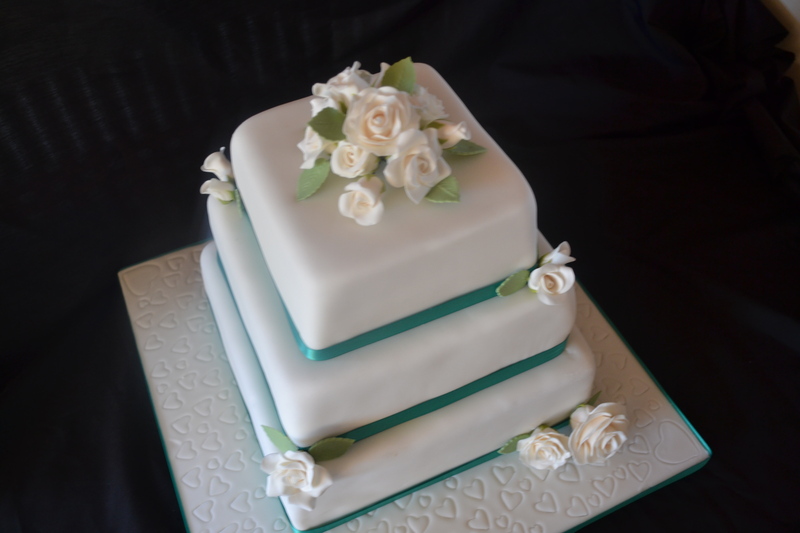 I offer free, no obligation consultations for couples looking for a Wedding cake. you are welcome to come around to my home and try some delicious samples of cake, and we can discuss ideas. It’s really useful to bring along things that have inspired you for your big day – magazine cut outs, fabric samples, colour charts, stationary etc. Please fill in the form below and I will contact you.